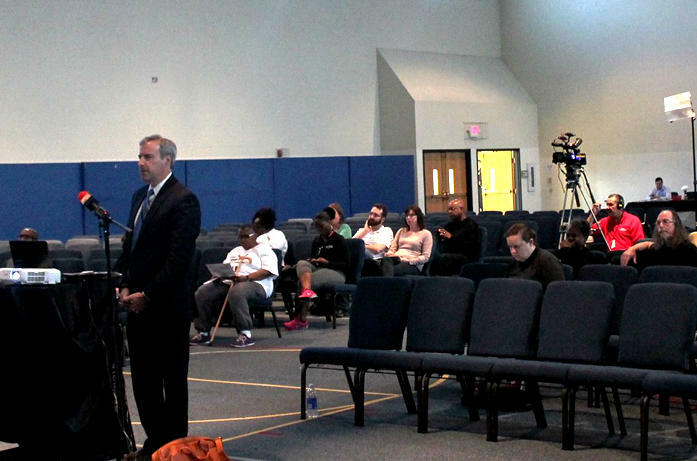 Budget director Paul Payne gives a presentation at a public hearing on the city's 2017 spending plan on May 18, 2016. Aldermen took aim at treasurer Tishaura Jones' budget for more than $340,000 in reductions, mostly targeting her Office of Financial Empowerment and a college savings program she started last year. Those who supported those changes said, if the office was important, Jones could find the money in her budget to cover its costs. 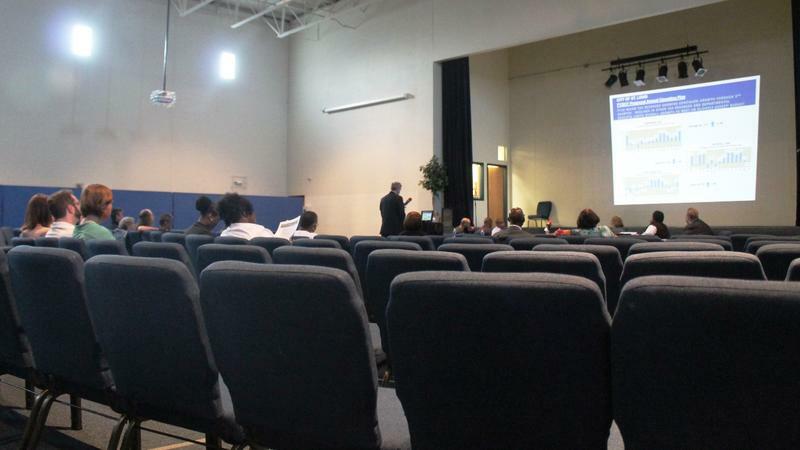 Many, including Alderman Antonio French, D-21st Ward, raised questions about how much money Jones has in reserve, especially after the St. Louis Post-Dispatch reported that Jones had offered to use $2 million from the parking division to fund a conceptual design study for a north-south MetroLink line. The money was funneled into the city's parks department to pay for more staffing at its seven recreation centers, the forestry division to pay for more people to cut the grass, and to the Board of Elections to cover the cost of four elections in a year. Jones, who is rumored to be interested in running for mayor, called the reductions "political." And Richard Callow, a longtime strategist for Mayor Francis Slay, set Twitter alight with a swipe at board president Lewis Reed, who has also expressed interest in being mayor. 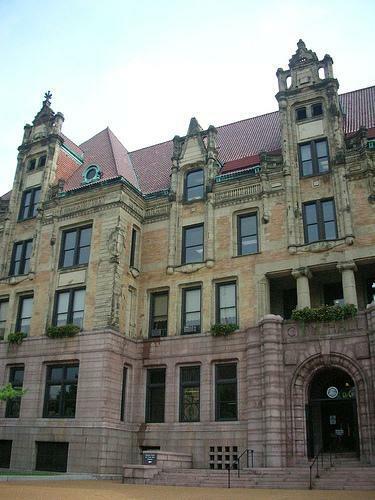 Alderman Scott Ogilvie, D-24th Ward, secured an additional $88,680 for the circuit attorney's office by cutting some vacant positions in the sheriff's office. The money would cover part of the salary for an attorney who would focus full-time on use-of-force cases. The sheriff's department is in charge of security at the city's courthouses and transporting prisoners. Alderman Joe Vacarro, D-23rd Ward and a candidate for sheriff, said deputies had told him that any more cuts could put jurors, judges and others who work at the courthouse at risk. "We have a public-safety crisis outside of the courthouse," Ogilvie responded. He was not able to secure dollars for overtime or for some community engagement specialists in the circuit attorney's office. Read the budget amendments here. The budget isn't completely in balance. It'll be up to the Board of Estimate and Apportionment — Mayor Francis Slay, Board President Reed and Comptroller Darlene Green — to get everything back even. The spending plan can ping back and forth between the aldermen and E&A for a while, but everything has to be done before July 1, when the fiscal year begins. 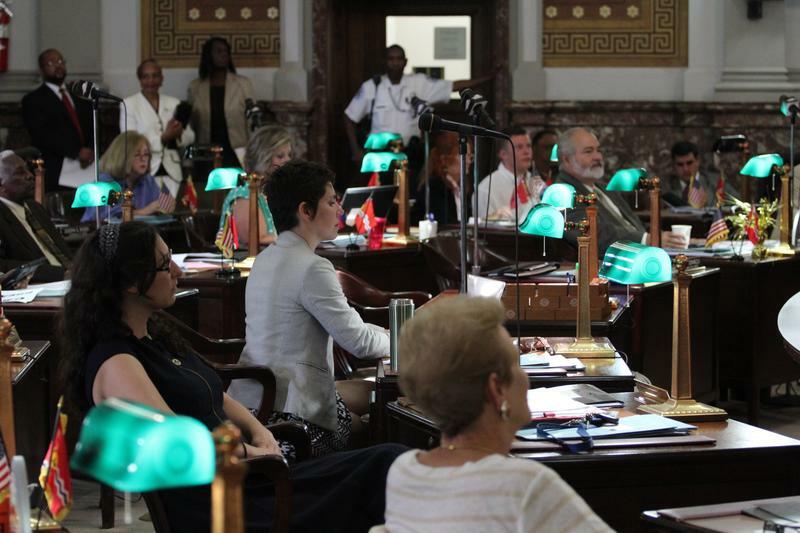 Aldermen in charge of St. Louis' budget heard more requests Wednesday from department officials who say they can't do the jobs they should without additional staffing. 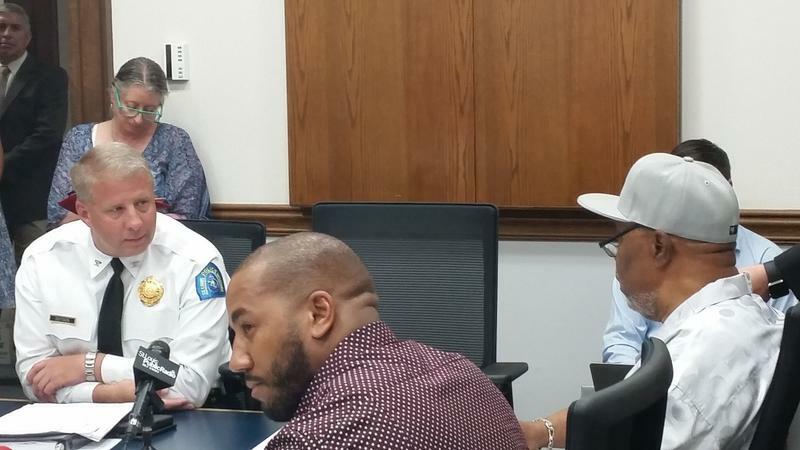 Representatives of the St. Louis Metropolitan Police Department, the circuit attorney's office and recorder of deeds Sharon Carpenter all asked members of the Ways and Means Committee to find the money for additional positions. The St. Louis Fire Department made a similar request last week.